I'm starting to acquire parts for a new antweight. Progress will be slow, details will be scarce. It will be a "filler" project to work on while I'm finishing up larger projects. I'm still missing a weapon motor and controller, but have most of the other interesting bits above. I did a quick test of the motor driver that I'm using. Both the Maxon and the Silver Spark seemed to do well with it. I'm still debating between the two motors. Silver Sparks are cheap and available, but the Maxons are smaller, faster, and nicer. 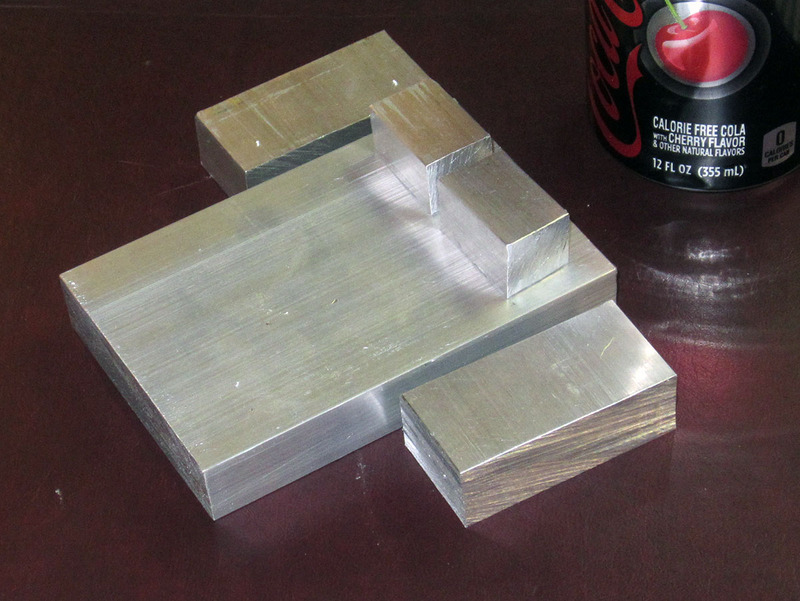 I've cut the major pieces out of some 3" X .75" aluminum bar. I'd forgotten how much I need a bandsaw, the hacksawing got a bit tedious. The raw pieces weigh in at 1.5 pounds. It'll be interesting to see how much of that ends up on the garage floor. Hopefully most of it. So, do you have an actual plan for this, or just building as you go? 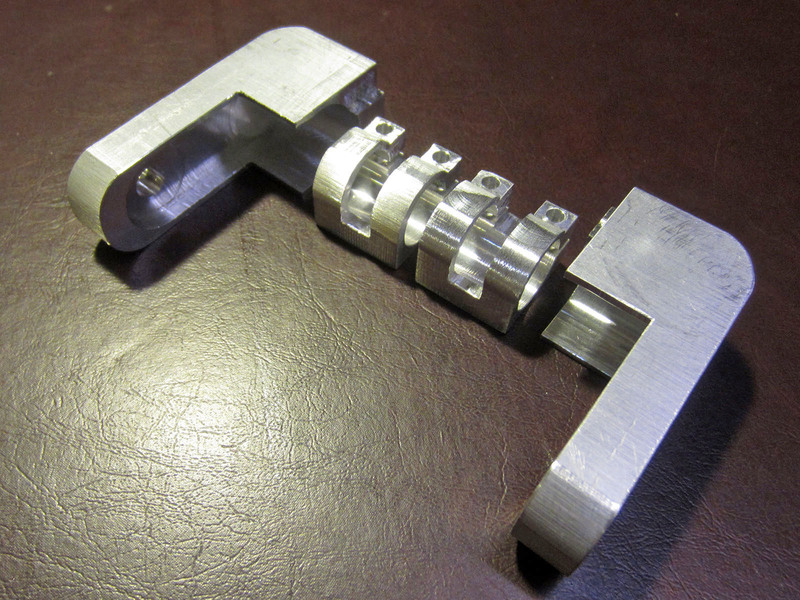 I'd love to get an idea of what you're building, but it's still cool just seeing parts get made. Oh, I have a plan. Muah ha ha ha. 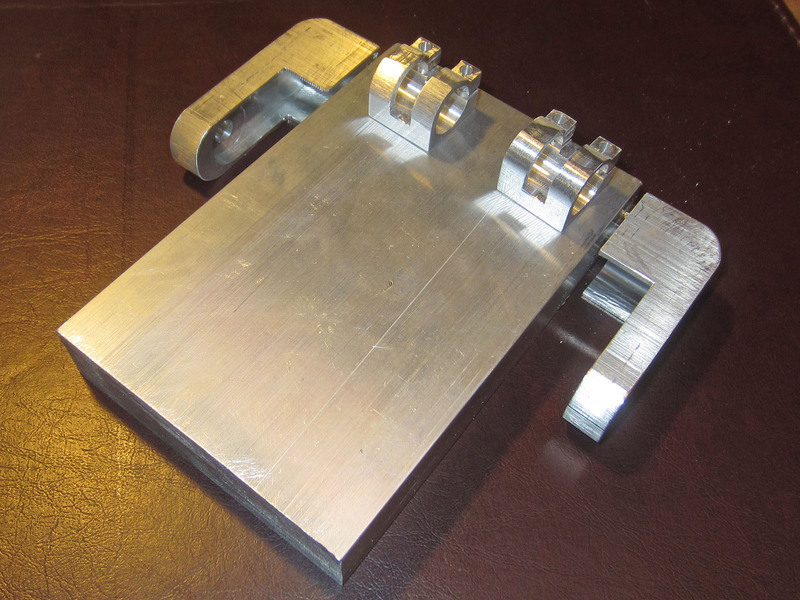 I have the thing 90% CAD-ed up, but due to my old 2D CAD program I don't know what kind of weight I'm looking at. It's more exciting that way. I'm following the Cosmsos pattern of the past with the slow reveal. So you'll have to settle with watching parts slowly be made. Really though, I do appreciate how well you document most of your builds, it's always good for inspiration. I managed to squeeze in a few hours in the garage to make some tiny motor mounts. That reminds me- I've been meaning to ask what Maxons people use. Also, with belt drive, would they be sufficient for a beetle? I have three of these small Maxons, and seven larger ones that were donated to me from the BaneBot guys back in the day. I don't know the stats on them, or if they're even available any longer for reasonable prices. They're really nice motors, the quality is impressive. I've never tried these smaller ones, but they seem tiny to be pushing 3 lbs around. 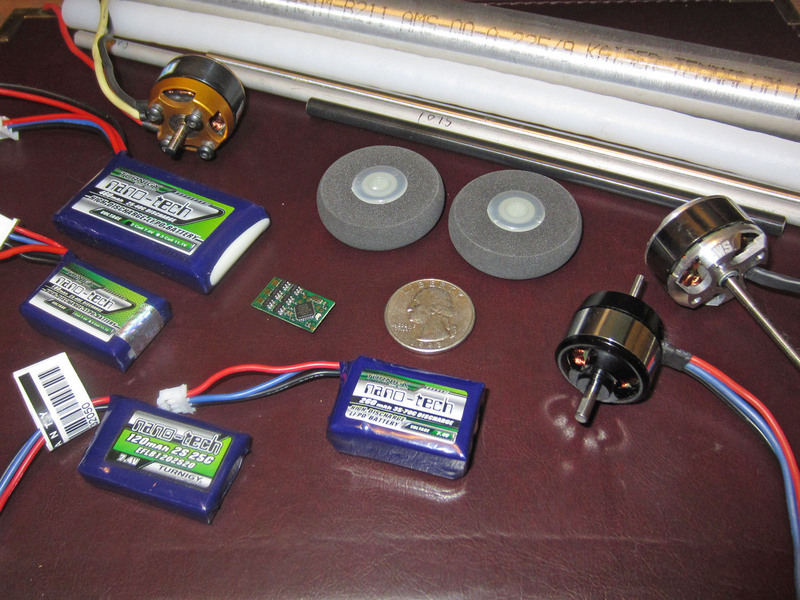 I have the larger motors in the ill-fated Auditor beetleweight. They would have worked fine there, if the weight distribution would have been better. I also used the same sized motors in Sister Christian, although she was only 2 lbs. Got a few more pieces made today. The basic shape is becoming more obvious. I'm down to 1 lb 2 oz of aluminum, still a long way to go. Looks like your making some good progress! I must say it is refreshing to see you testing the waters so to speak by building a new bot. My first year as a builder my high school's bot Son of X got paired against Corona at Moto. To this day that match is still my favorite, I chuckle every time I watch it! You guys provided the friendly encouragement to come back and do better next time. It's amazing to think that was 10 years ago. Glad to hear that it was a positive experience. I always worry that we crushed a few childhood dreams by beating up on the other bot too much. But that's part of the game, it's a good lesson to learn. I'm hoping to try some novel control concepts with this bot. It may end being overweight and be more of a test platform than a true competitor, but it'll be fun either way. I've decided to take the beginnings of the new bot, and use most of the same components for a new version of Angry Accountant. The SparkFun competition gave me a few ideas for improvements on the basic design that should make her bomb proof. Plus, I was having a hell of a time getting all the wacky new ideas to fit into a 1 pound bot. I'll instead use some of those on a new bot to be built sometime in the future. I've accumulated a decent pile of parts. It's been fun re-visiting McMaster, OnlineMetals, HobbyKing, etc. 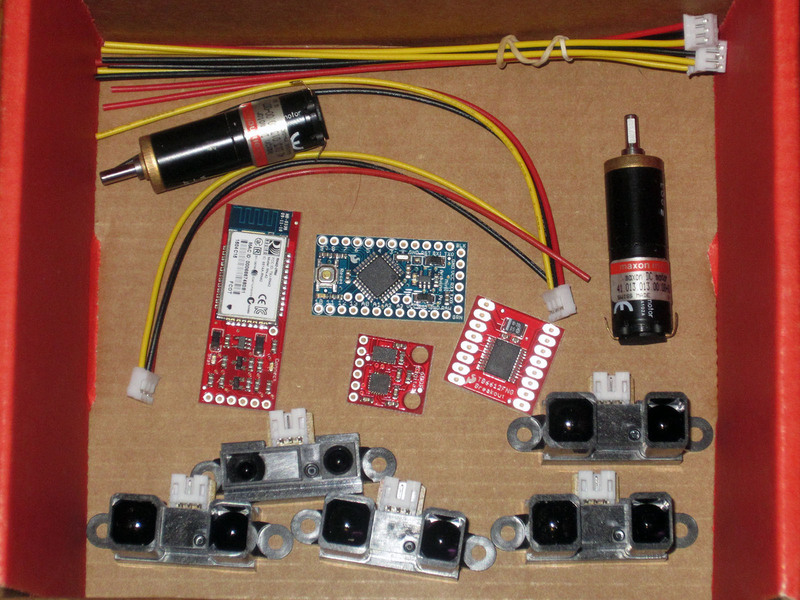 I have a few weapon motors to do some testing with, along with various battery sizes. 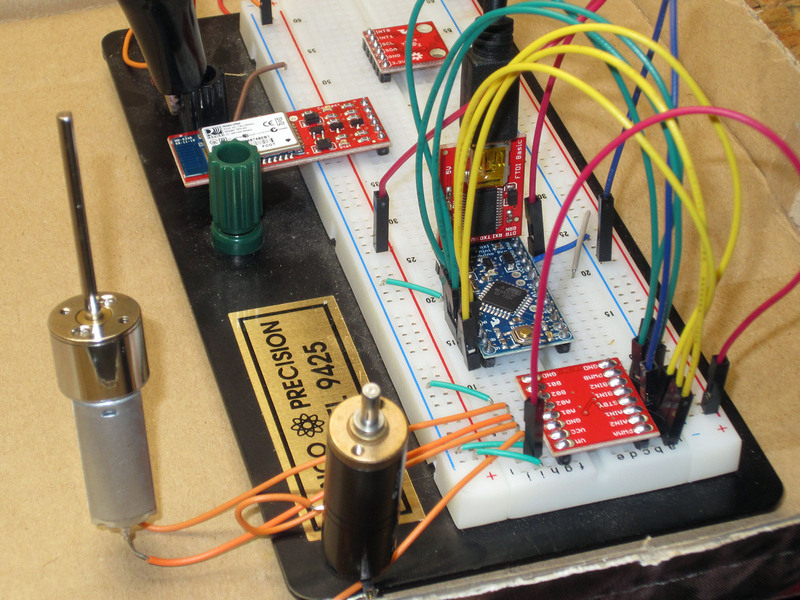 One thing I learned at the SparkFun competition is that I was using much too large of a battery at 610mAh. None of the weapon motors are too crazy, I'm more interested in resiliency rather than insane-o weapon. 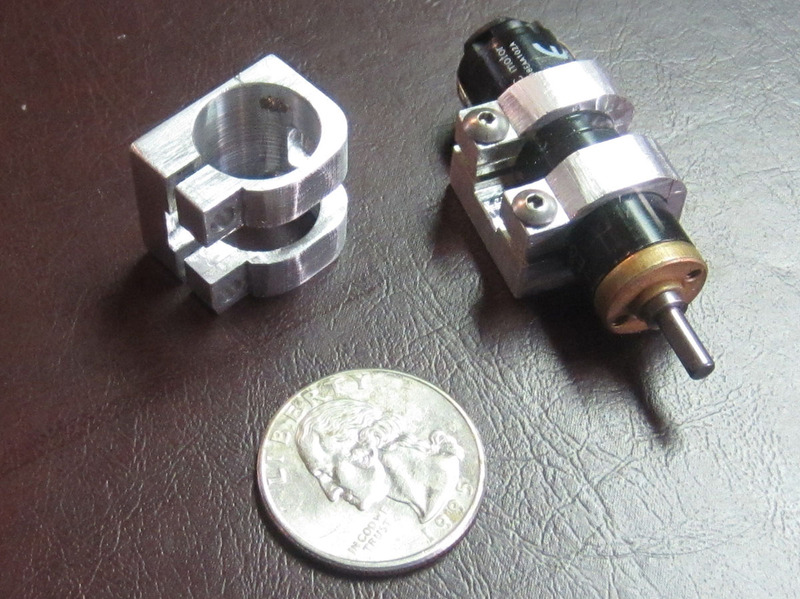 Machining should start in earnest in a week or so. Can't hardly wait. Brushless AA seems pretty scary! Keep us posted. I was always impressed by the work you guys did, but you stopped competing right about the time I got past being a clueless newbie. Sure would be cool to see you come out to moto again some time even though I know it's awfully far.